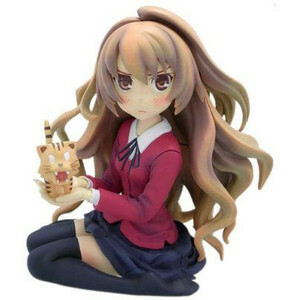 The main heroine of Toradora!, Taiga Aisaka got this amazing figure from the the manufacturer Wave and the sculptor Heel Saito. This figure was released in September 2007, and it is based on the cover of the novel's first volume. 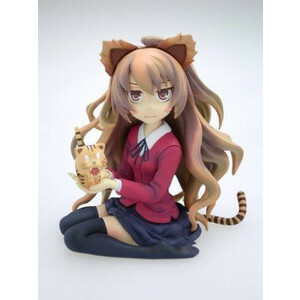 Aisaka is shown holding a small tiger and she can be outfitted with both tiger ears and a tiger tail and an alternate smiling face. This figure, that is a part of Treasure Figure Collection line, is a 1/10 scale PVC completely pre-painted figure that is 9 cm (3.51 inches) tall.